FIFA Street PS3 Review. If you're growing a little tired of the FIFA series or Pro Evolution Soccer but still want your soccer fix, than you really should check out FIFA Street as it offers players a whole wealth of new gaming mechanics, online modes and some honest gaming fun. 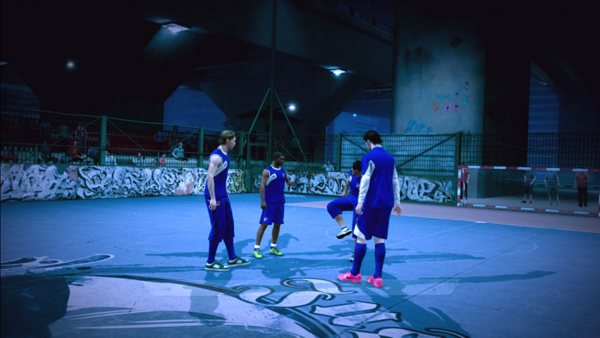 Reminiscent of EA Sport's FIFA series, FIFA Street (although not a new game) is a much more relaxed outing but still contains the same intricacies of the game but in an urban setting. Don't let the stylised graphics fool you as the learning curve of FIFA Street is quite high but fortunately there are plenty of hints and tutorials to teach you the basic game mechanics and all that fancy footwork of street soccer. With that in mind, EA Sports have included over 50 new skill moves which can be tricky to master, depending on your prowess on the PS3 as you play in a variety of authentic street locales from Amsterdam to London and the beautiful Rio de Janeiro... or something more Spartan, a gym! 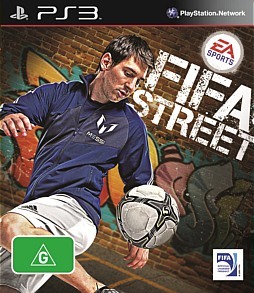 Unlike a game such as FIFA 12, FIFA Street is similar yet uniquely difference because street soccer only abides to certain rules of the original game which makes this sporting experience quite fun. There are still rules in place but this out of fish type soccer experience feels more laid back and equally as enjoyable with almost a touch of Parkour thrown into the game due to the almost acrobatic nature of the game. Given that, it's actually refreshing to play a game that is not just an upgrade from the previous games in the series but something more fleshed out. The best aspect of this game were the tricks which can be quite complicated to achieve and at times reminded me of a game like Tony Hawk due to the complexities of the buttons and analog stick directions. However once you master the basics, improving your bag of tricks is an arduous yet rewarding process, even with controller rage thrown into the mix. 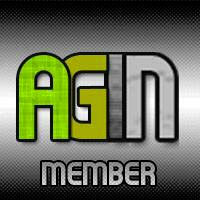 One glimmer of hope to newbies is that as the teams are quite small (e.g. five side matches) which sometimes makes it easier to focus on these tricks as you don't have to watch your back that often. But Panna is a whole new bag of tricks and needless to say, it's still an intense experience which requires you to take into account the environments where you play that opens up some great strategy options. Given that, if you've played any FIFA game in the last few years, mastering the control system should come quite naturally as certain facets of that engine are used here. There are also a variety of gaming modes that include exhibition matches, online and our favourite, the career mode (World Tour Mode) which allows you to build-up your small squad of street soccer sportsmen from the ground up. 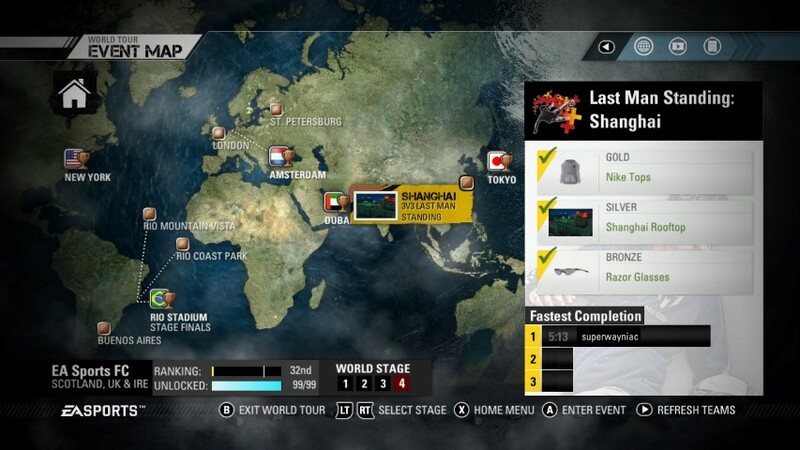 In reference to multiplayer, the titles does allow up to four players to play locally as well. For those that want to customise even deeper, the player creator allows you to modify their appearance and thankfully there are plenty of useful hints from the game to assist in the overall creation process. Your players are awarded experience points for everything they do during the game from kicking goals to performing tricks which can then be used to unlock new tricks and increase their soccer attributes. It’s almost like role-playing sports and it’s great to see your players improve over time. I also love the online street soccer modes such such as Last Man Standing where a goal eliminates a member of the squad or when a mode uses Futal which creates some truly whacky matches. Another aspect I enjoyed was Panna which is a 2-on-2 mode that is point driven and requires you to use the Panna tactics to win points. These modes translate well for online matches. Some of these new rules are also quite tricky such as Panna which requires you to tactically kick a ball between opponent’s legs and then regain control which awards you points. So as your mastering the controls and tricks, you do need to master the new rules for street soccer but fortunately it’s well implemented into this game. Nothing is more fun than using these tricks to tease your attacker as you perform as you try to pull the wool over their eyes. 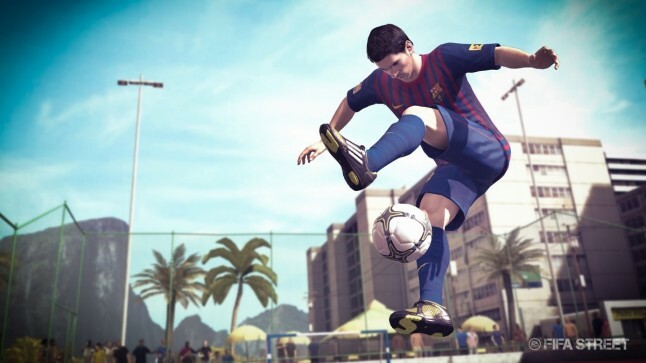 Graphically, FIFA Street is a good looking game on the PS3 thanks to its stylised graphics that is quite distinctive. I love the gaming environments in the game, especially the real-world locations like London or Rio de Janeiro. Even the colour palette has this real earthy feel to it as opposed to the slick graphics of FIFA 12 which looks too perfect and colourful. 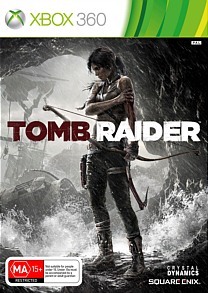 Players are well animated, especially their trick manoeuvres and everything comes together well with the relatively flawless gameplay and great sound effects. If you're growing a little tired of the FIFA series or Pro Evolution Soccer but still want your soccer fix, than you really should check out FIFA Street as it offers players a whole wealth of new gaming mechanics, online modes and some honest gaming fun. With a sturdy career mode and the option of taking your squad online, FIFA Street is rife with replay value and more importantly, pure gaming fun! Recommended!